With National Sleep Awareness Week 2018 coming up on March 11-18, this is the time to ask How do you maximize beauty sleep? I think it’s safe to say we all want to reverse facial lines and all signs of sleep deprivation, gravity and environmental damage. They’re all the unfortunate and inevitable parts of being blessed with life! But, what we can do is minimize their appearance on our skin. I’m not one for Botox or fillers or surgery on myself, but what this beauty junky will turn to is trying out all the latest creams, gels, serums, and masks on the market! 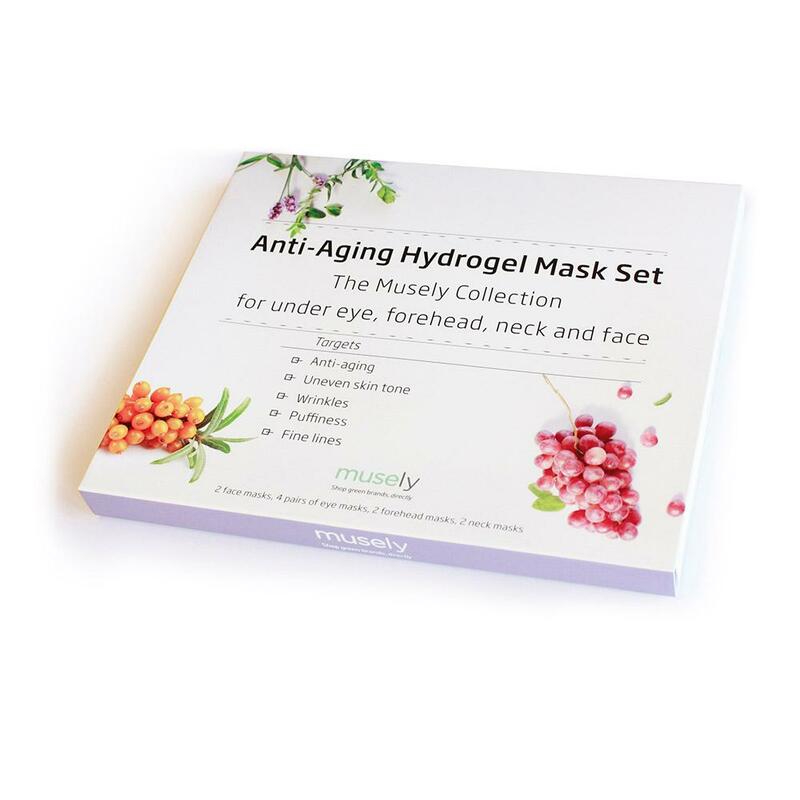 One of the greatest new inventions for the under eye area, forehead, neck and face is Musely’s Anti-Aging Hydrogel Mask Set which is specifically designed to deliver nutrient-rich botanical extracts and eradicate lines and brighten thy complexion over the course of 8 hours. Beauty sleep at its finest! 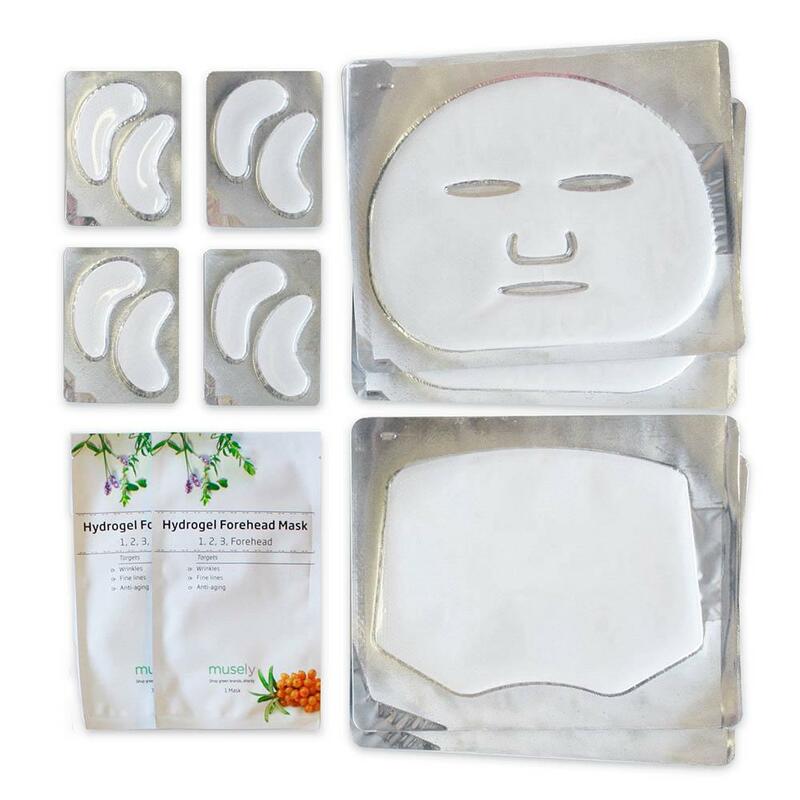 It targets anti-aging, uneven skin tone, wrinkles, puffiness and fine lines – and the best part is that Musely (which is the best green online marketplace) uses only clean ingredients such as sea buckthorn seed extract, prickly pear seed oil, cucumber fruit extract, green tea extract, pomegranate and starflower. Actually, the best part (for real!) is the innovative gel adhesive they use. The masks don’t slip and slide down your face as all the others do. You can actually adhere the masks, go about and do some work on your computer (sitting up! ), brush your teeth (standing up!) and then go lay down and get your beauty sleep. They’re perfect for us busy bodies. 1. Apply gel side to cleansed skin. Avoid placing too close to eyes. 2. Wear overnight for maximum effect. Use up to 2-3 times a week. 3. 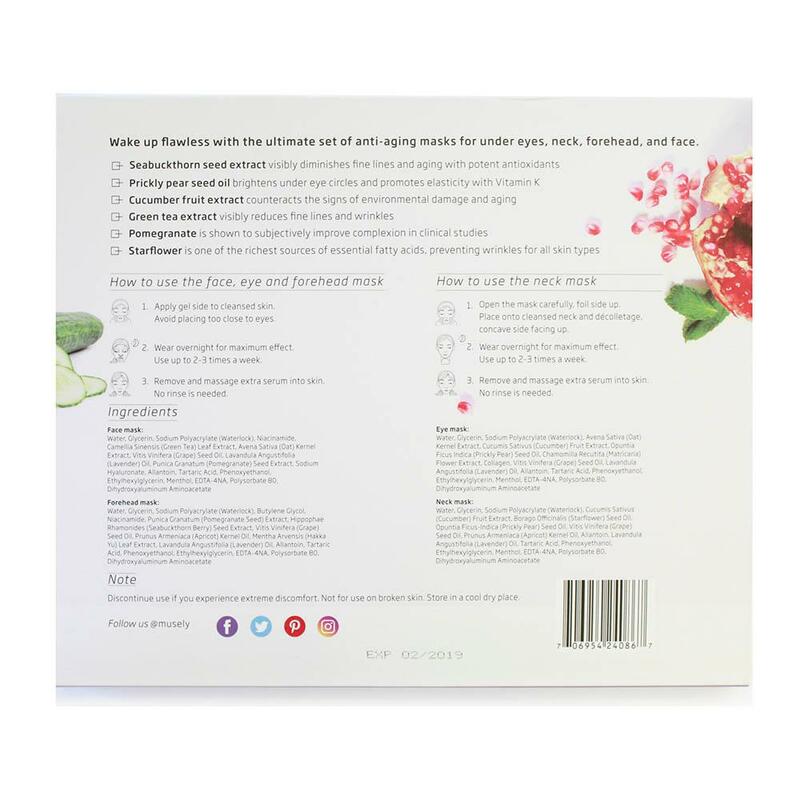 Remove and massage extra serum into skin. No rinse is needed. 1. Open the mask carefully, foil side up. Place onto cleansed neck and décolletage, concave side facing up. This is what I look like using the eye mask. + Let me know what you think. 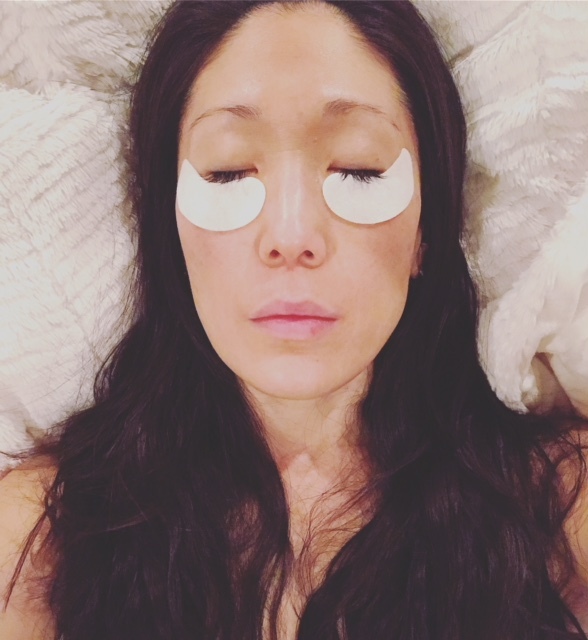 And please tell me — how do YOU maximize your beauty sleep? NAIL, MD :: ORLY SEC AND DRY – AND THE MAGIC IT DOES. MY ANTI-AGING ARSENAL :: SECRETS TO SKIN AND BODY HEALTH!